Struggling with motivation to write? Here are five ideas to get you back on track to start earning again. Do you struggle with motivation to write? There are so many reasons for this to happen. You could run out of ideas, or the pressure to make money from your work could be so bad that your mood drops at the thought of sitting at the computer again. Writer burn-out is also possibly to blame. It’s time to boost your motivation, so the next time you need to write you will really want to. Not only does it help improve the amount you write, but it will help you become a better writer. 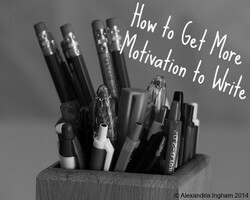 Here are five tips to gain more motivation to write. It's time to give yourself a time limit. Sometimes you just need to force yourself to write. However, you don’t want to sit at the computer for too long. 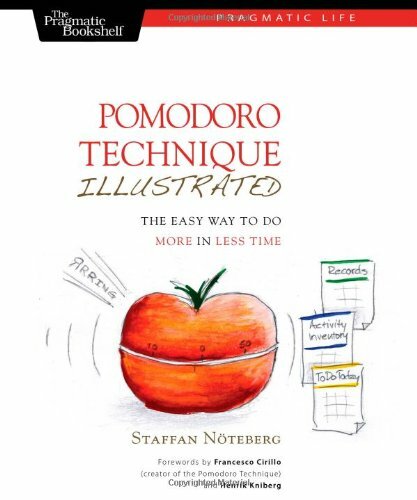 It could be worth setting a timer, so you write for a set amount of time and then you can take a few minutes doing whatever you want when the timer goes off. This can also help you become a more productive writer because it helps you get the breaks you really need. The time you set will really depend on you. Some people prefer to work in 25 minute blocks with five minutes break, while others prefer 45 minutes writing and 15 minutes break. You need to find the setting that works best for you. I prefer the longer writing sessions with longer breaks, especially when I’m in the middle of a longer project. Try to use your breaks wisely, and spend at least five minutes away from the computer. Your body and brain will need the break away from the screen. I use my 15 minutes to get some of the housework done, or to spend some time with my daughter if she’s awake and at home. If I can’t do either of them, I’ll chat to friends on Facebook, read other people’s blogs and write down new writing ideas. Get motivated with these motivational quotes. Bite sized chunks of wit and wisdom which have kept me going over the years! Revisit your goals as a way to give you the kick you need. It’s really easy to forget about your writing goals, and this can really affect your motivation levels. One of the best things you can do for your motivation to write is to look back over your goals. Remember why you’re doing this, and what you want to get out of it. I have my goals sitting on my notice board, which is always in view when I look up from my computer. It gives me the constant reminder of why I’m working the hours I do, and writing on the various sites that I do. If you don’t yet have some goals, why not create some right now? They don’t need to be extravagant. Just create some S.M.A.R.T goals that are relevant for you, and then stick them somewhere for you to look at regularly. I use each quarter of the year to look back over my goals, and assess how close I am to reaching them. I also break them down to suit a three month period. At the moment, I’ve found that I was on track for the majority of my first quarter goals and have now updated my second quarter ones. I’ll give them a look in July and see just how well I’ve done for the first six months of the year. Treating yourself whenever you meet a goal is a great way to motivate yourself to write again. You may be surprised to hear that you will work better with rewards. When I first thought about it, I couldn’t help but think of myself like a dog who does tricks for treats. However, I put the idea into practice and started rewarding myself for completing projects and reaching targets/goals. Sure enough, I was more motivated to write because I wanted that reward time and time again. It’s a psychological thing, I know, but it really works for me! The rewards don’t have to cost a fortune. I tend to reward myself with five minutes on Facebook, or spend a few minutes aimlessly browsing the internet just for fun. If I have longer to reward myself, I’ll read a book, take a long hot bath or shut the computer down early for the day. Just this week, I rewarded myself with two days off and went to see Sarah Millichan live! Every time you reach a goal, it’s really worth finding a way to congratulate yourself. You’re acknowledging the fact that you’ve reached that goal in a physical way instead of just ticking it off your list. What are others writing about? 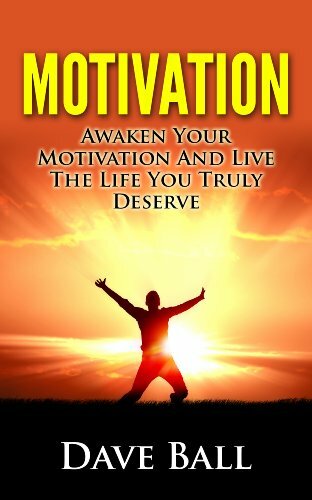 It's time to read them and see how they help you with your motivation. Sometimes I have no motivation to write, so I’ll read someone else’s blog post, article or even a short fictional story. Suddenly I’ll get a lot of ideas popping up in my head, and I find that I really want to write them. I now have a notebook full of ideas that I’ll look at whenever I’m struggling for ideas or the push to write something. It’s really worth reading other people’s blogs and articles, even if it’s a topic that you already think you know everything about. It will give you a new perspective on a subject, and you may come up with controversial ideas that you’d never considered before. You’ll also find that you develop new angles on the same topic, or ideas that branch out from that one piece that you’ve read. You don't just need to write blogs about a specific topic. Sometimes reading the stories about how someone has done on a site, monthly income reports or success stories in a program are enough to give you the motivation to write. You soon realize that something is possible, and you become someone who wants to be that person. I do this all the time when reading the Smart Passive Income blog. It's time to get yourself away from the computer for a longer period of time. Sometimes you need to take a break to get the motivation to write. It seems odd at first, but this is where you are going to create and develop your ideas. You get to see people interact, and will start thinking about something other than the blank white screen in front of you. If you get outside, the fresh air will also do you some good. I find that when I’m really struggling, getting out for a walk does me wonders. It used to be a run, but the area I’m now in and having my daughter has stopped that from really being possible. Now I get her out of the house and we go to the park for half an hour or so. My brain is filled with ideas and my mood picks up considerably. By the time I get home, I’m more motivated than ever to write. Breaks can be longer than half an hour, though. I take a week off at least during the summer, and will usually have two weeks off over Christmas. These are weeks for my brain to recover from the hard work and get ready for the next slog coming up. Think about it like work. You would have time off as an employee, so you need time off as a writer. Hopefully you now have more motivation to write. If you’re still struggling, it could be writer burn-out that you’re actually struggling with. That can take a little longer to get over from experience. However, it is possible and you will get that motivation to write back. Treat yourself to the chocolate cake and coffee. You deserve it after painting the fence :) Glad the article could reach you just at the time you needed it. I needed that boost to make me do something. Just came in from the garden where I've been painting the fence and feeling too tired to do anything. Having read your piece I think I just might find the energy - after a piece of chocolate cake and a coffee!